Medical record reviews managed by BlackTree are focused on two areas; Pre-bills Clinical Documentation Reviews and ADR management. For Pre-bills BlackTree will specifically review documentation to support the claim, identifying orders are present for all care provided, documentation supports the plan of care and LCD. BlackTree provides the agency with individual patient reports and a monthly summary of areas needing improvement. BlackTree can manage your ADR process from initial ADR documentation review, creation of cover letter and suggestion for performance improvement. It doesn’t stop there BlackTree is with you through the entire ADR process from reconsideration, redetermination to ALJ appeal level. We offer assistance each step of the way and keep you informed of your options.  BlackTree can assist with acquisition reviews and other medical record reviews.